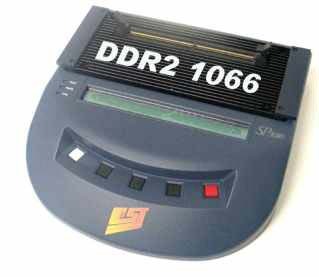 Guide to Shopping for a DIMM Memory Testers ? Guide to selecting Memory Testers Shopping for the right tester is not easy. Here is a 10 point guideline you can use as a reference. Ask yourself and the memory tester company these questions before you buy your tester. 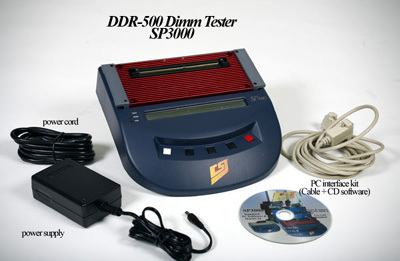 How fast is the DIMM Memory tester? Is it 1066mhz , 800mhz , 667mhz, 533mhz or 400 MHz? Normally you can tell how fast the tester through the test time required to test a piece of memory module. 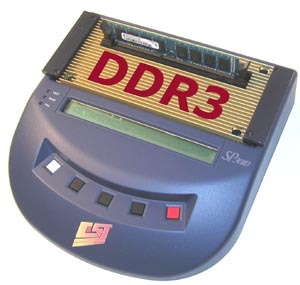 Take a 1GB PC2-6400 DDR2 DIMM as an example, a full comprehensive cell test that include a Marching test pattern (not simply a Basic Test) should take around 30 seconds for a fastest tester, whereas it will take more than 2 minutes for a slower tester. The accuracy of the tester significantly depends on the speed of the base tester. Can the tester support different DRAM technologies? 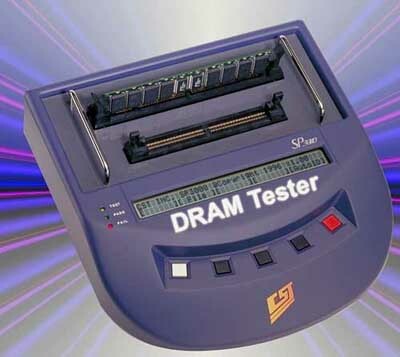 Most of the tester will not support both EDO DRAM,PC133 SDRAM DIMM, DDR,DDR2 & DDR3 with the same tester unit. You want to make sure that you do not have to end up buying multiple testers or perform costly upgrade to the tester to test different kind of memory. How are the error displayed? Did the tester give you enough information to pin point exactly what goes wrong with the modules? 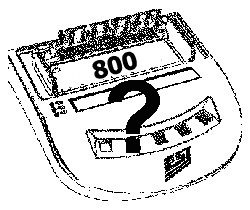 Can the tester be interface with the computer to extend programming features of the tester? If so, do it come with the editors to program the contents of the Serial Presence Detect and module mapping for error detection? Can the tester be flexible enough to edit Serial Present Detect Information (SPD), the module configurations and the test patterns ? How good is the service and support provided by the company? Do they have technical support standby to answer your questions at anytime during office hours or do you have to talk to answering services all the time. What warranty does the tester covers? What is the turnaround time policy for repair and service ? Is the unit field upgradable ? How easier is it for you to upgrade the tester? How much does upgrade cause ? 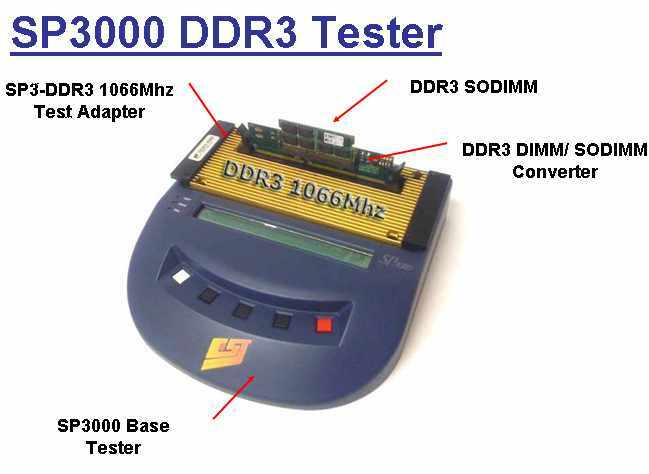 Almost all small tester will not be upgradable to test the super fast DDR2 or DDR3 DIMM memory , thus do not take words of supplier that promise you a tester now that will also deliver DDR2 or DDR3. Get it in writing. Check out the corporate history in the memory test industry. The longevity of a company reflects the leadership position in its field. Ask your suppliers and business partners who have been using the product as a very good assessment of how good the product is. This by far should be the best testimony. Lastly, make sure the price is proportionate with the performance it will deliver. The lowest cost tester may not necessary be the one that is best. Is the product going to be obsolete soon? Making the right choice ensure that you do not spend more money later on. 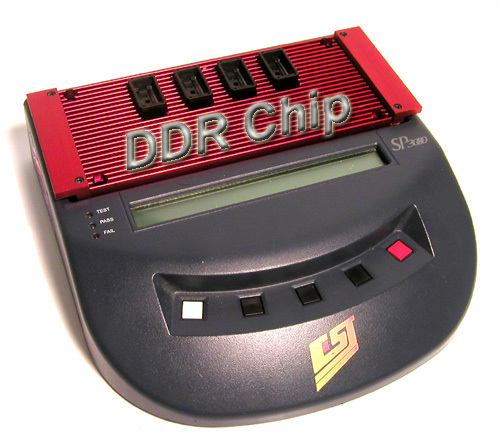 Each memory tester usually last for many years , typical memory technology and distribution lifecycle last about 8-10 years before any new memory technology overtakes as the dominant mainstream memory. Each 240-pin DDR3 DIMM provides a 64-bit data path (72-bit for ECC or registered modules).The notch in a 240-pin DDR3 DIMM is in a different location than the notch for regular 240-pin DDR2 & FBDIMM modules. Each 240-pin DIMM provides a 64-bit data path (72-bit for ECC or registered modules). 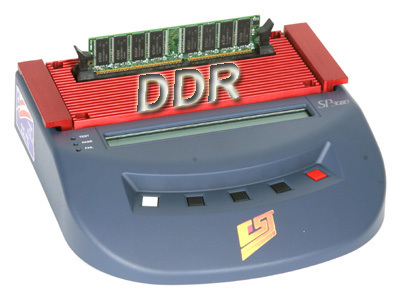 Standard DDR2 240-pin DIMMs are available in DDR2 PC2-3200 SDRAM, DDR2 PC2-4200 SDRAM, and DDR2 PC2-5300 SDRAM. 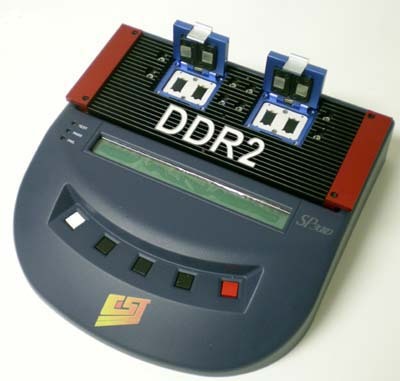 184-pin DIMMs are used to provide DDR SDRAM memory for desktop computers. Standard 184-pin DIMMs are available in PC1600 DDR SDRAM, PC2100 DDR SDRAM, PC2700 DDR SDRAM, and PC3200 SDRAM.. The number of black components on a 184-pin DIMM can vary, but it always has 92 pins on the front and 92 pins on the back, for a total of 184. 184-pin DIMMs are approximately 5.25 inches long and 1.25 inches high, though the heights can vary. While 184-pin DIMMs and 168-pin DIMMs are approximately the same size, 184-pin DIMMs have only one notch within the row of pins. 168-pin DIMMs are commonly found in Pentium® and Athlon® systems. 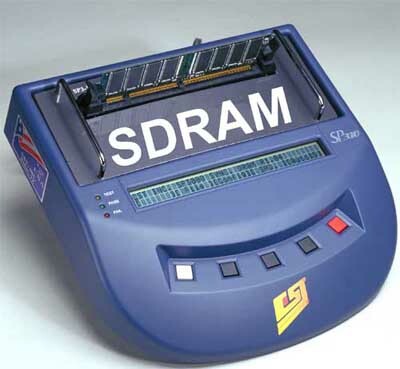 168-pin DIMMs are available in EDO, 66MHz SDRAM, PC100 SDRAM, and PC133 SDRAM. When upgrading, be sure to match the memory technology that is already in your system. 72-pin SIMMs are commonly found in older desktop computers, such as the 486 and early Pentium® models. 72-pin SIMMs are available in FPM or EDO. When upgrading, be sure to match the memory technology that is already in your system. * The 30 Pin SIMMs was the 1st generation SIMM memory which are typically found in older Intel 286 and 386 desktop computer system. * The 30pin SIMM module comes in both 8 bit and 9 bit(parity) configuration and memory capacity range from 256K to 8 megabyte. * 30pin SIMM comes in only 5 Volts and speed range from 60ns to 80ns. CST, Inc. headquarters in Dallas, Texas, USA also has direct offices in Singapore, California, China as well as global distributors strategically located in Canada, China, France, Germany,Spain, Portugal, Hong Kong, Japan, South Korea, Switzerland, Sweden, Taiwan and Israel.